It is that time of the year where we all begin to reflect on the past year and look ahead to see what is coming on the horizon. This is true in both our personal ventures and in business. So much can change in just a years’ time, software is developed, processes are upgraded, and algorithms change. It is crucial, especially when it comes to your business online that new trends in SEO and digital marketing are considered. Get a jump start on your 2019 online marketing goals by considering what experts are labeling “the most important SEO trends of 2019”. Who is your target audience? What is their intent? According to industry experts knowing, defining, and building your online marketing strategy around these two things will be more important than ever before. Understanding what people’s expectations are with any given search query and providing the answer/solution with your website and overall online presence is the most effective manner to meet your audiences need. The goal for marketers is to stay ahead of people’s preferences because they can change quicker than can be imagined. If you are successfully able to do this, Google will reward you with higher search engine placements and site visitors are more likely to invest in you. In 2019 experts agree that the importance of placement on Google, although high, will shift towards traffic coming in from a variety of sources and search engines. The goal is to effectively drive traffic and look to engage people in outlets other than just websites. If your target audience, as defined above, are searching for apps then your website ranking will not be nearly as important as your rank in the app store. If your audience is full or video viewers, then it is crucial that your videos appear towards the top of where they are being searched. The main objective is to rank well on Google and engines that are being used by your audience. Drive traffic through all mediums that your audience is using. The use of structured data is becoming critical in SEO as the shift from mobile-first to AI-first continues. The information gathered by AI must show a relationship and within a timely manner. AI processes text quickly and will bypass required information if it is taking too long to crawl the data as it is being presented. In 2019 the importance of structured data, schema, active and passive search behaviors and intent make the process and behaviors leading to the search a critical part of SEO. As digital marketers we need to start diving deeper into the relationship between keywords, topics, and audience behavior in creating and implementing structured markup. Using a combination of site architecture, meta data, site tags, and structured data allows marketers to give the proper signals to search engines to back up the sites topical and supportive content. In 2018 we learned that Google’s algorithm was focused mainly on the quality of the content and this will not change a whole lot in 2019. It was found that websites that were able to provide in-depth, high quality content increased significantly in their placement on search engines. Websites with weak content, although previously ranked highly, dropped in placement on search engines and website visibility became minimal. Website content writers must create content that is able to answer questions and solve users’ problems. The best way to do this is through the creation of content that relates to, moves, and brings solutions to your target audience. Not only is the content important but quality is also determined in that the content fits into the context. As marketers it is not likely any authority will be placed on your content if you have not proven to be an authority on the subject. What this means to us is that we must work to leverage ourselves within the industry as an expert. Back links and other important SEO measures must be received through sources that show expertise in areas we are looking to specialize in. Site Speed: The speed at which your website pages load on desktops and mobile devices will continue to play a role in rankings. Your audience has about three seconds of patience. In order to get the best loading speed possible for the pages on your website follow this advice:activate AMP on your pages, use HTTPS, move to PHP7, optimize, and use critical rendering paths. On-page site optimization hasn’t disappeared in its level of importance with the increase in elements that are now significant in search algorithms. On-page optimization is not an aspect of SEO that can be put in place and forgotten. Each and every quarter, on-page optimization should be reevaluated and modified as seen fit. The last decade of SEO has been all about mobile optimization although 2019 isn’t going to be full on voice search it is time for marketers to consider it and start to include voice strategies in their online marketing techniques. Voice searching is an easy way to request answers to simple questions however might not yet be the best option for more complex needs. 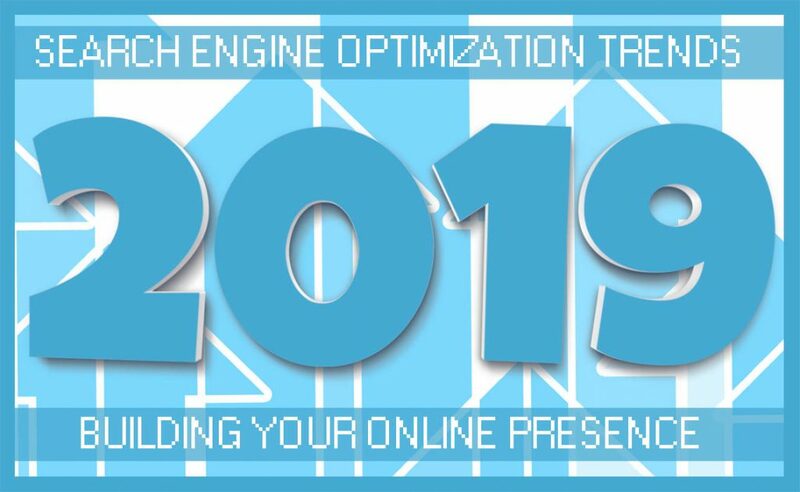 Not only must your own website be optimized, in 2019 the Google experience must also be optimized for. Your sites exposure will come in a combination of ways, visibility is key. Featured snippets should be programmed to answer questions to questions users will have related to your website. These snippets could range from recipes, knowledge graphs, answer boxes, and who knows what else. Programming these snippets into your site are guaranteed to see an increase in your organic traffic. Creative Programs and Systems, CPS, is an all-inclusive IT solutions company offering a variety of services including: managed IT services, IT consulting, residential computer services, custom programming,website design, iphone & android app development, and more. More information can be found at https://cpsmi.com.